Elizabeth Taylor remains perhaps the quintessential movie star, as legendary for her messy private life as for her glamorous screen performances. She was born in London, England, on February 27, 1932, to prosperous parents. Fleeing Europe during World War II, the Taylor family moved to Los Angeles when Elizabeth was seven. Her mother, a former actress, then set about grooming her daughter for Hollywood. In 1941, Elizabeth was signed to Universal and cast in her first film, There’s One Born Every Minute (1942). After appearing in Lassie Come Home (1943) opposite her lifelong friend Roddy McDowall, Elizabeth was given a contract with Metro-Goldwyn-Mayer, the studio best positioned to make her into a star. At 12, Elizabeth Taylor fulfilled her early promise in National Velvet (1944), the story of a young girl’s obsession with riding her horse in England’s Grand National steeplechase. Initially, Taylor was considered too slight for the role, but after a fourmonth regime of exercise, she proved herself physically robust enough to take it on. On the set, she further showed her dedication by continuing to perform even after a throw from a horse left her with a serious back injury. Emerging from National Velvet a star, Taylor was placed in a series of small ingenue roles, most successfully in Little Women (1949) and Father of the Bride (1950). By her 15th birthday, gossip columnist Hedda Hopper had declared that Taylor was the most beautiful woman in the world. 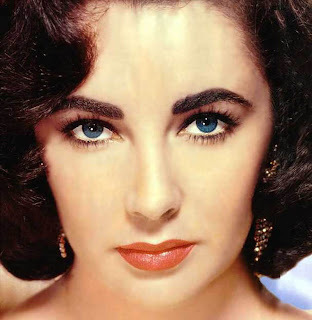 Blessed with raven hair, violet eyes, and a heart shaped face, the young Taylor established a standard of beauty for the 1950s. In A Place in the Sun (1951), Taylor graduated to adult roles as a woman so desirable that a man is willing to kill to have her. Although thought of more as decoration than as a great talent, she slowly proved herself a skillful actress in such dramas as Giant (1956), Suddenly Last Summer (1959), and Raintree County (1957), for which she received her first Oscar nomination. Taylor had her greatest early success in Cat on a Hot Tin Roof (1958), the film version of Tennesee Williams’s controversial play. Wearing a form-fitting white slip, she portrayed a woman seething with sexual frustration as her alcoholic husband (Paul Newman) draws away from her. The performance won her a second Academy Award nomination. Throughout the 1950s, Taylor was as big a star in the gossip columns as she was onscreen. In just seven years, she married three famous men—hotelier Conrad “Nicky” Hilton (1950), actor Michael Wilding (1952), and producer Michael Todd (1957). Divorced from Hilton and Wilding, Taylor became a widow when Todd’s plane, ironically named “the Lucky Liz,” crashed in 1958. The great outpouring of public sympathy that ensued quickly dried up as Taylor became romantically involved with singer Eddie Fisher, who was still married to film star Debbie Reynolds. When Fisher left his wife and children to marry Taylor in 1959, she was condemned as the ultimate other woman. Her fans, though, again embraced Taylor after she fell ill from an almost-fatal case of pneumonia. Perhaps out of sympathy for her near-death experience, Academy voters awarded Taylor the best actress Oscar for Butterfield 8 (1960). Taylor’s next role was as the title character in the four-hour extravaganza Cleopatra (1963). For her performance, she was paid a record-setting $1 million. The production itself cost $40 million, then the most ever spent on a film. Cleopatra paired Taylor with British actor Richard Burton in the role of Marc Antony. Nearly from their meeting, rumors fiew about a romance between the stars, who were both married at the time. Adding to the gossip, Taylor and Burton were prone to making scenes and having loud drunken arguments. An unapologetic hedonist, Taylor was denounced by members of Congress and condemned by the Vatican as “a woman of loose morals.” Though Cleopatra was a box-office disaster, the public had a seemingly insatiable appetite for stories of Taylor and Burton’s extravagant misbehavior. As Burton once observed, “For some reason, the world has always been amused by us two maniacs.” After their marriage in 1964, Taylor and Burton made nine more movies together. Most were forgettable, though two were among Taylor’s best films. In Who’s Afraid of Virginia Woolffi (1966) and Taming of the Shrew (1967), Taylor played two very different, yet equally difficult women, creating these characters out of intense, raw emotion. Her role as Martha in Woolf was especially impressive. Although only 34 at the time, Taylor was wholly convincing as a decidedly unglamorous, middleaged harridan. The part won Taylor her second Academy Award for best actress. In the 1970s, Taylor’s career began to decline as she appeared in a string of lackluster films. Her relationship with Burton fell apart as well. They were divorced in 1974 and remarried in 1975, though their second marriage lasted only four months. In 1978, Taylor wed for seventh time, becoming the wife of future U.S. senator John Warner. Finding fewer appropriate roles in movies, Taylor moved to the stage in the early 1980s. She was nominated for a Tony Award for her theater debut in The Little Foxes (1981) but was slammed by critics for her performance in Private Lives (1983) opposite Burton. Taylor also began working in television in such films as Poker Alice (1987) and Sweet Bird of Youth (1989). In the 1990s, she made occasional guest appearances on situation comedies, most notably providing the voice for baby Maggie on an episode of the animated series The Simpsons. Even when she was not performing, Taylor remained in the public eye, often through less-than-fiattering gossip about her weight gain and problems with alcohol and painkillers. In 1983, she checked into Washington, D.C.’s Betty Ford Clinic, becoming the first high-profile celebrity to admit to her addictions. Returning to the clinic in 1988, she met construction worker Larry Fortensky. They were married in 1991 and divorced five years later. While dealing with her own problems, Taylor began a new career as a crusader for AIDS awareness and research. In 1985 she cofounded the American Foundation for AIDS Research (AmFAR) and soon organized the first Hollywood gala fund-raiser for the cause. Also the founder of the Elizabeth Taylor Foundation for AIDS, she has helped raise more than $50 million for AIDS research. At the 1992 Academy Awards, she was given the Jean Hersholt Humanitarian Award for her charitable work. Taylor added to her own bottom line with several perfume lines. Expertly marketed using her status as a cultural icon, her perfumes White Diamonds and Passion approached $200 million in annual sales by the early 1990s. Heymann, C. David. 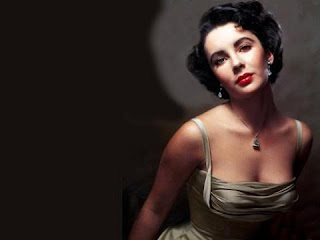 Liz: An Intimate Biography of Elizabeth Taylor. New York: Birch Lane Press, 1995. Kelley, Kitty. 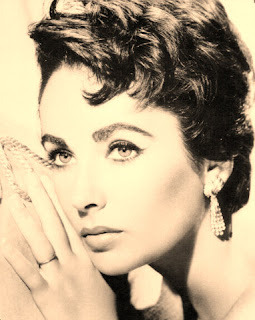 Elizabeth Taylor: The Last Star. New York: Simon & Schuster, 1981. Spoto, Donald. A Passion for Life: The Biography of Elizabeth Taylor. New York: HarperCollins, 1995. Cat on a Hot Tin Roof (1958). Warner Home Video, DVD/VHS, 2000. National Velvet (1945). Warner Home Video, DVD/VHS, 2001/2000. A Place in the Sun (1951). Paramount, VHS, 1996. Taming of the Shrew (1967). Columbia/Tristar, DVD/VHS, 1999/1998. Who’s Afraid of Virginia Woolffi (1966). Warner Home Video, DVD/VHS, 1998/2000.